Recover deleted or damaged images from memory cards. Is there a better alternative to PhotoRescue? Is PhotoRescue really the best app in Image Editing category? 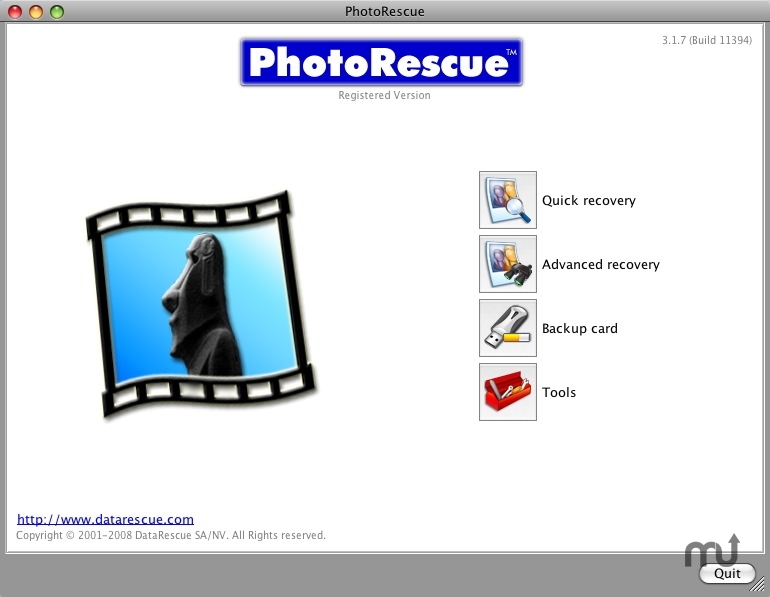 Will PhotoRescue work good on macOS 10.13.4? 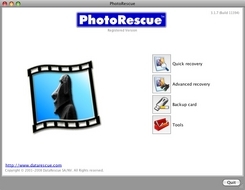 PhotoRescue is a tool that can attempt to recover lost or erased files from digital media. Many file formats are supported, but the focus is on digital photography file formats like JPEG, TIFF, NEF, Compressed NEF and CRW file. It works with SmartMedia, CompactFlash, Memory Sticks, SD, MMC, XD Cards and Microdrives and also most other external storage devices. Version 3.4.0.13436: Release notes were unavailable when this listing was updated. PhotoRescue needs a rating. Be the first to rate this app and get the discussion started!